Chip Le Grand’s The Straight Dope (MUP) has won the 2015 Walkley Book Award and David Kilcullen’s ‘Quarterly Essay 58: Blood Year: Terror and the Islamic State’ (Black Inc.) has won the Walkley Award for Feature Writing Long (over 4000 words). Le Grand’s book, which explores the recent drugs scandals in Australian sport, was chosen from a shortlist of three. Also shortlisted were Acute Misfortune: The Life and Death of Adam Cullen (Erik Jensen, Black Inc.) and The Family Court Murders (Debi Marshall, Ebury). 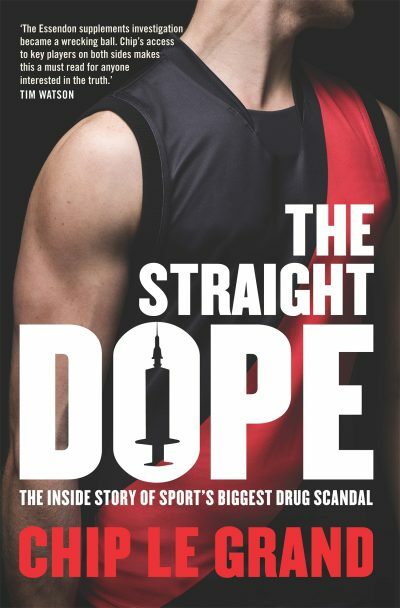 The judges said The Straight Dope ‘brings together the story of the AFL/NRL supplements saga in a way that is dramatic, insightful and often surprising’. ‘Through interviewing central players and sifting the needles from a haystack of documentary evidence, Le Grand has used the book form to convert the first draft of daily journalism into a compelling and coherent narrative,’ they said. The Straight Dope recently won the inaugural Australian Sports Book of the Year award. An expanded book based on Kilcullen’s essay will be published by Black Inc. in early 2016.